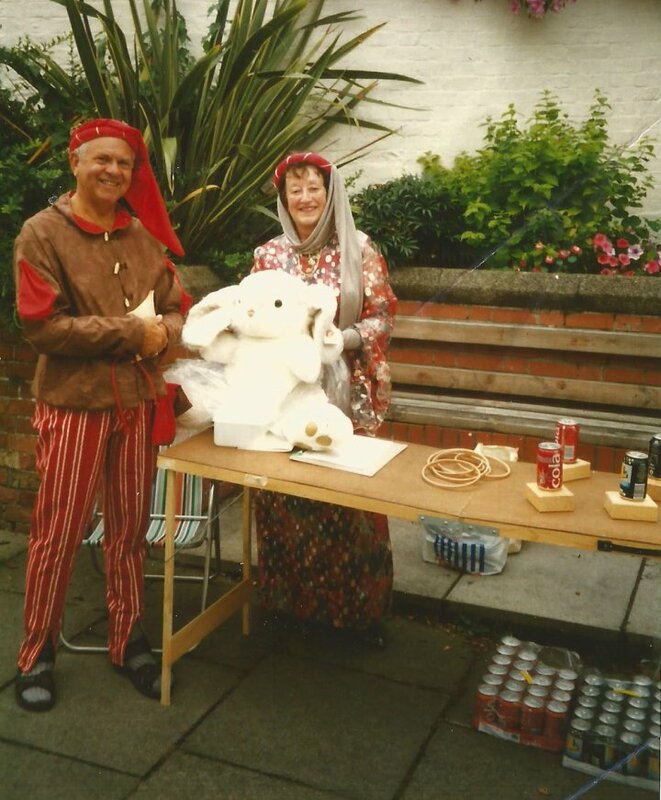 In 1996 this Hoopla Stall was one of the attractions at the annual Pilton Festival in July. Located outside Pilton House, it raised money in aid of the Residential Home. Players also had the chance to win a White Rabbit by guessing its name. There is no record of who won it. The photograph shows Mary Passmore with the Rev. John Spear, vicar of the Ancient Priory Church of St Mary, Pilton, from 1990 until 1999. Thanks to Mary Passmore this photograph.